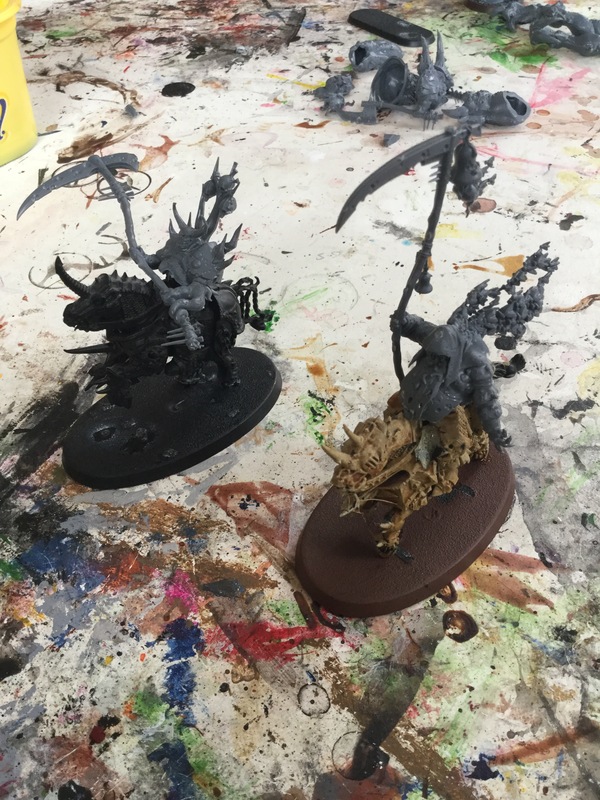 Today I’ve been building up more units to add to my ever growing AoS combined Nurgle army, including some alternative uses from spare kit parts. 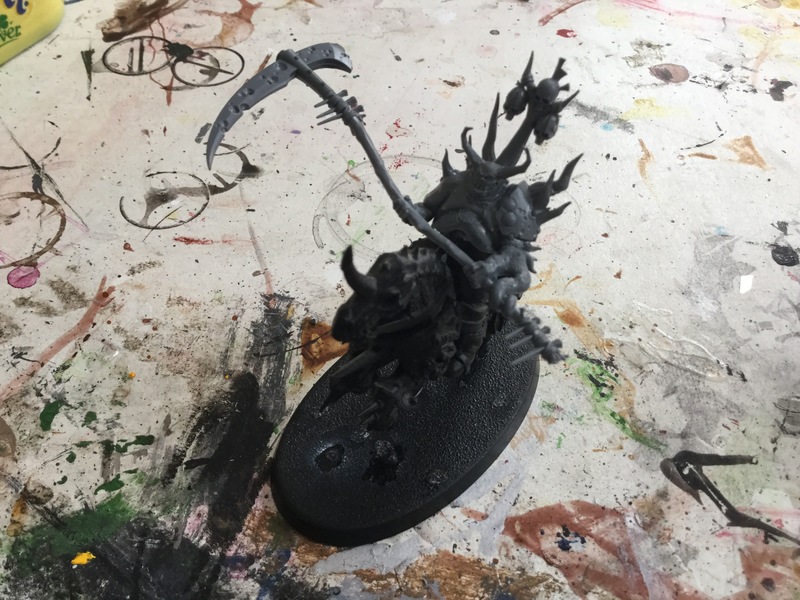 I got myself a maggoth Lord kit that I’m altering to be greater daemon of Nurgle, and a Lord of plagues as a foot leader for the Nurgle Rotbringers General. From this alteration option, I’ve got two spare beast head parts and three spare rider parts to use for kit alterations. 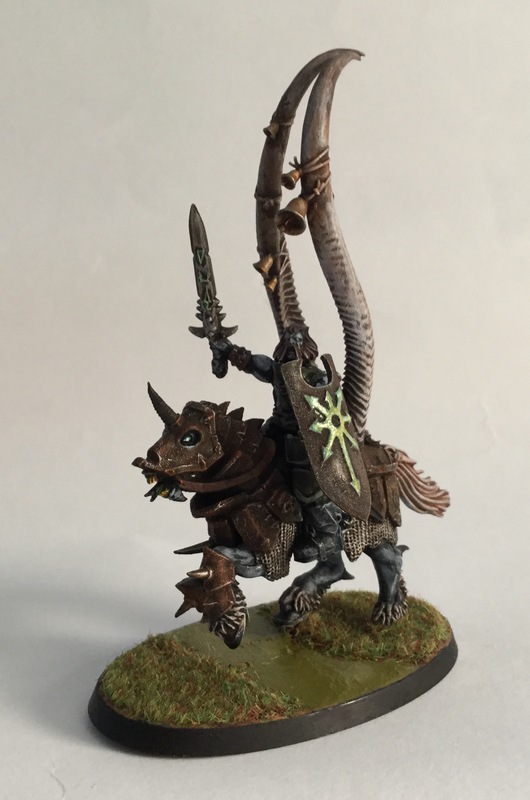 The rider parts were used to create two harbingers of decay by using two spare horses from the chaos knights kit, with a little bit of creativity to combine the mounted rider parts onto the horse. The overal results looked great! I liked how the models looked at the end of the build up stages. I only need to use some green putty to fill in some of the gaps that are visible on the models. Now that I’ve got three harbingers of plague in total (see the first one from my last post), I’ve decided to give each rider a role in the factions hierarchy, which covers all three Nurgle force respectively (for example, the arbiter that looks close to being a daemon of Nurgle will lead the daemons of Nurgle respectively). Next, the maggoth kit also gives you two spare maggoth head parts from the kit. 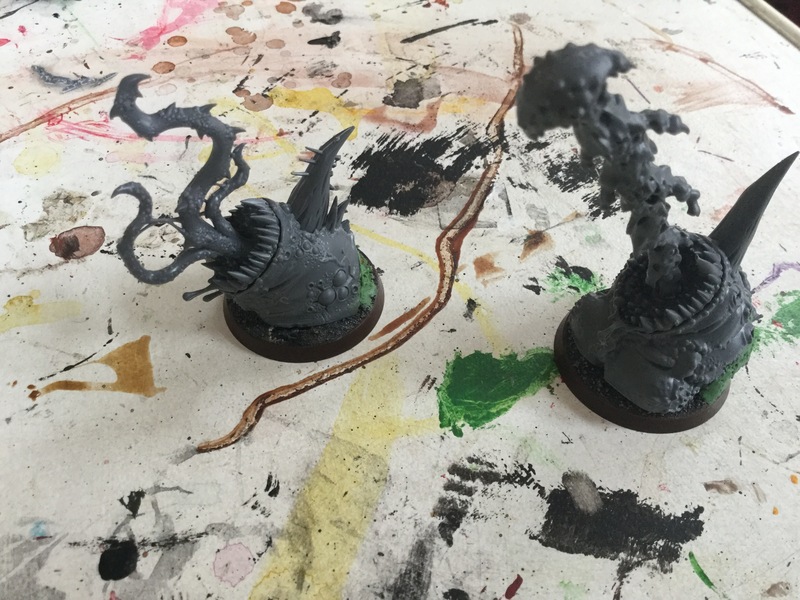 From this I’ve used these and made two beasts of Nurgle, making them look like sea leviathan heads coming out of the swamp. 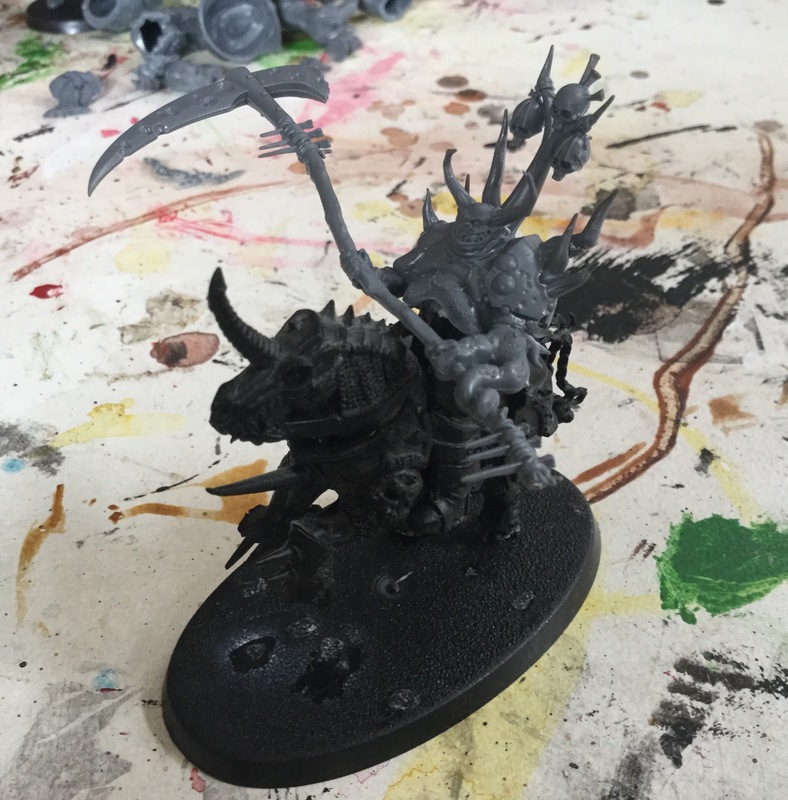 The maggoth Lord kit has not only given me the option to creatively make a greater daemon of Nurgle and two harbingers of decay, but it has also given another use to create units of beasts of Nurgle. It’s well worth the time and patients to get the best out of the kit when you have spare parts in hand. 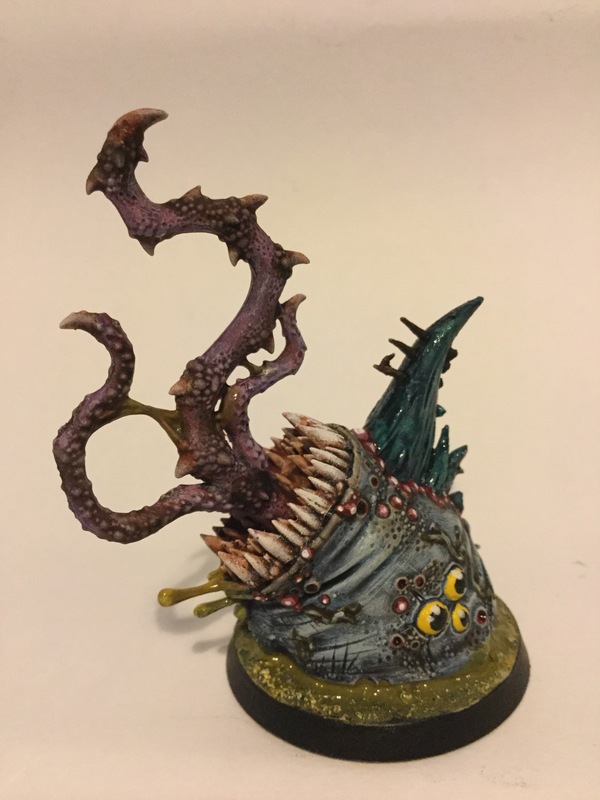 Finally, I’ve painted my Lord of plague and one of the beasts of Nurgle from today’s hot weather (thankfully it wasn’t as hot as yesterday). 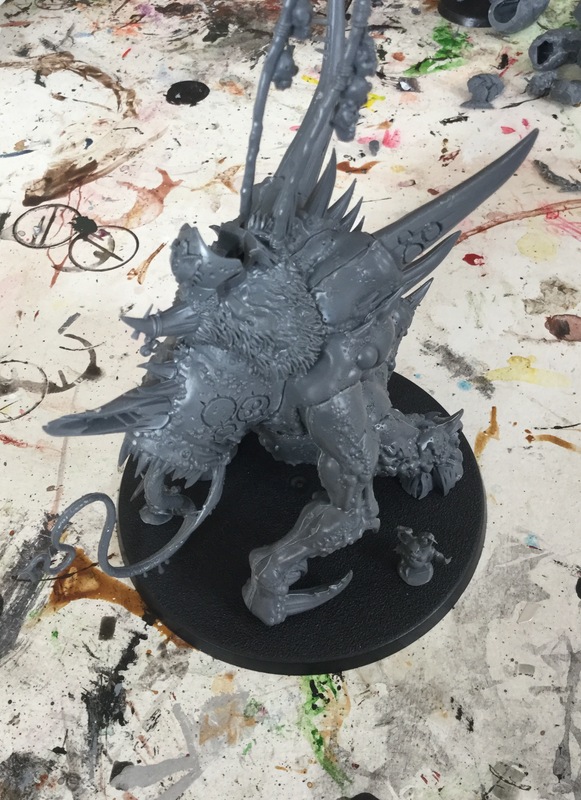 I’m looking forward to getting the second beast of Nurgle model to be done to complete the unit. That’s all from me for now for this update. My thoughts so far on this collection have been very positive, I’m feeling more self confident to try out new ways to make the most out of my skills in painting, with a constant motivation to be invested into my collection completion. 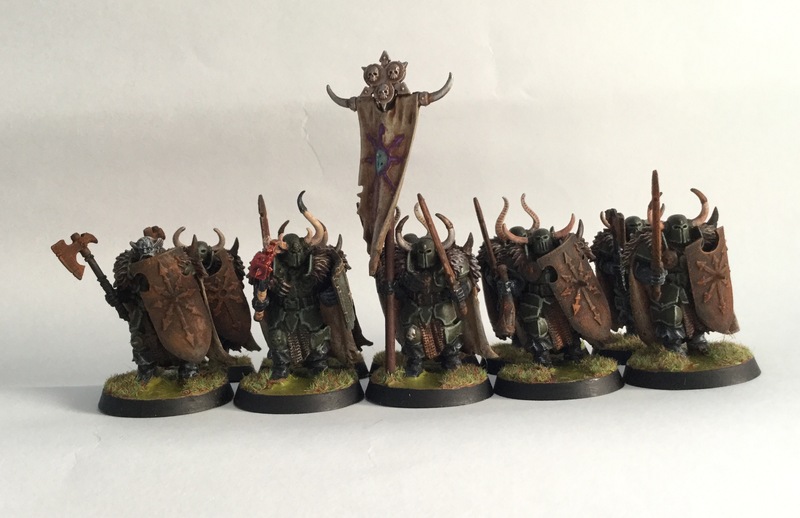 So what have I been doing for my AOS collection? Well there’s been a complete change in my plans for my collection, mainly due to the new rules that’s coming out soon. 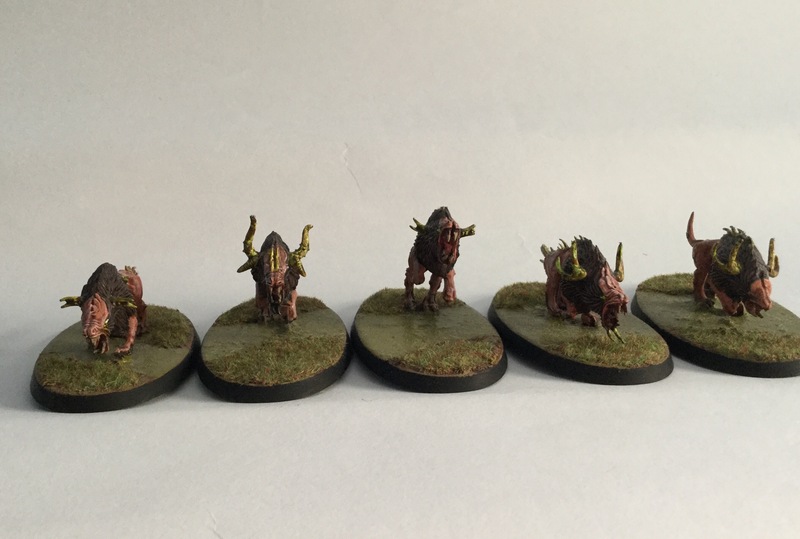 Plus, I’ve gone and decided to build a combined fully painted Nurgle army for a fun day of gaming next month! 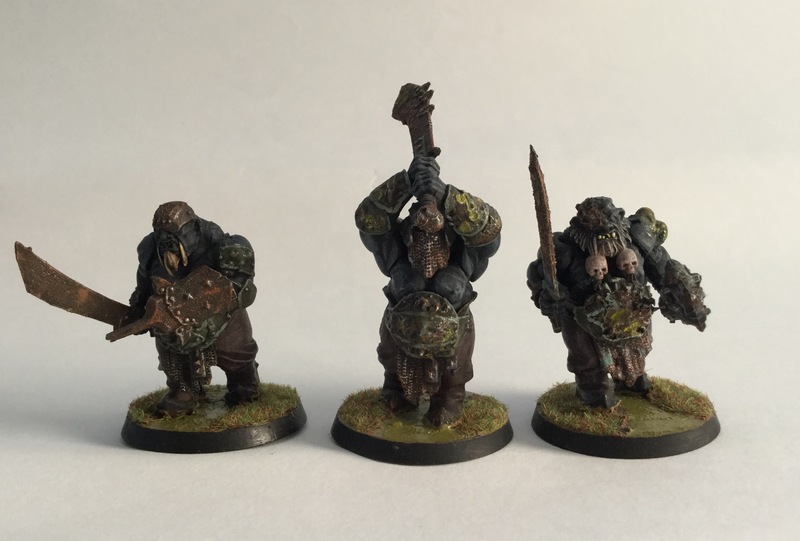 But what about the other previous unfinished army builds from past posts? 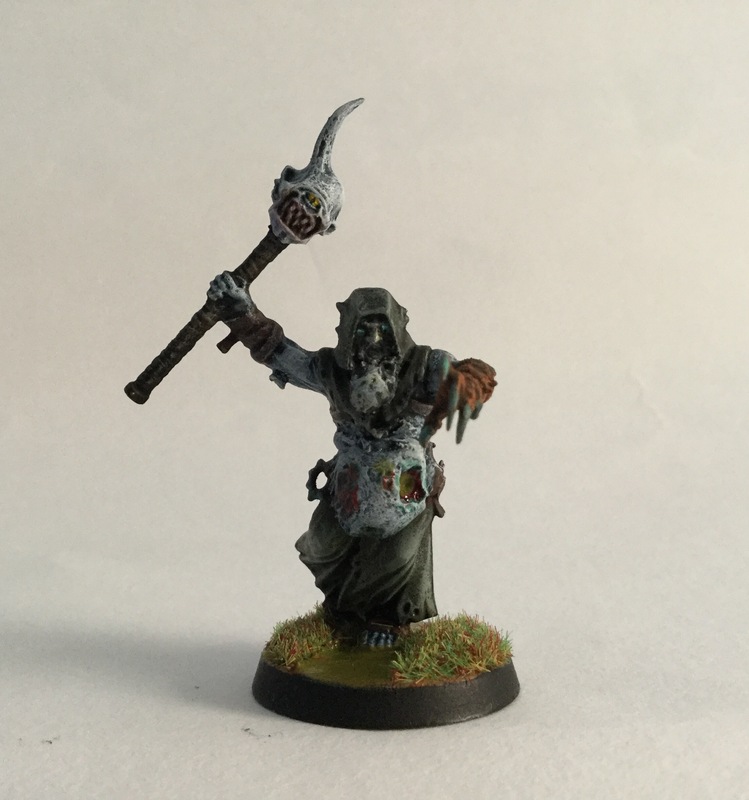 Good news is that I’m still continuing them at some point when I’ve completed my Nurgle force, I’ve got an ambition to finally finish those crazy plague monks that have been tedious to paint! Anyway, Stay tuned for updates on my other army projects that’ll be out soon. 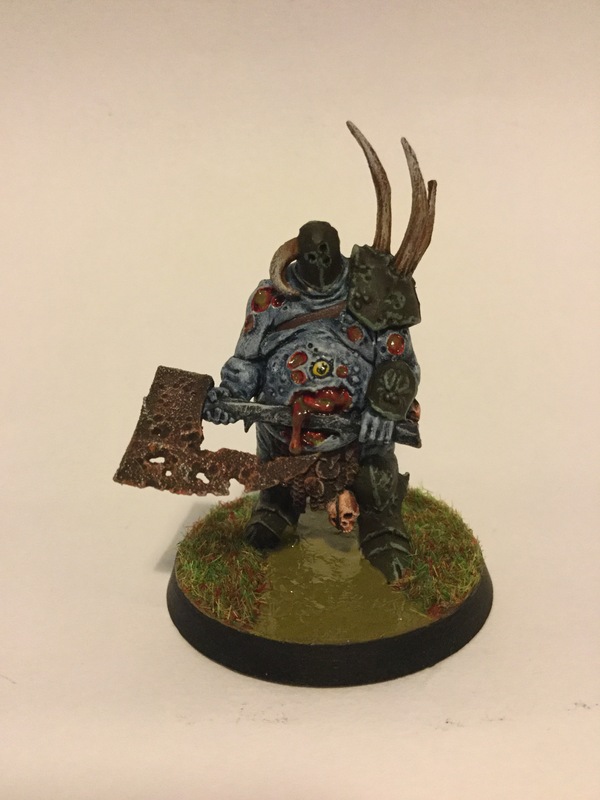 For the main topic of this post, I’ll be presenting my combined Nurgle army that I’ve done so far. 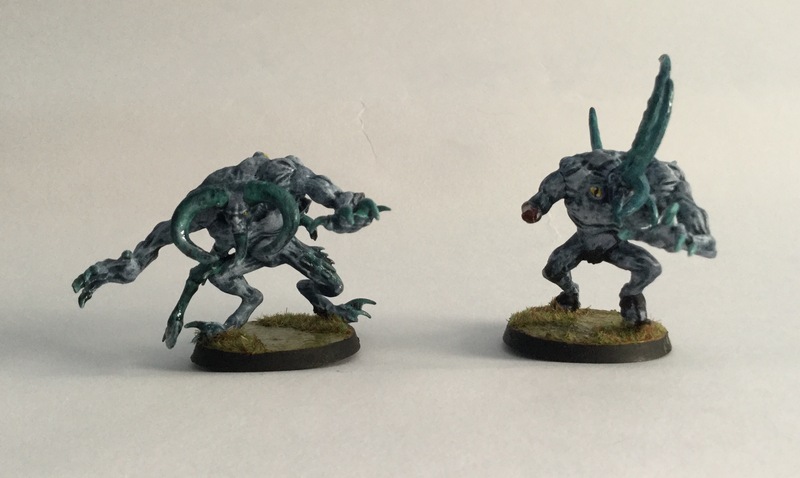 Below are my collection of models from Slaves to darkness, Daemons of Nurgle and Rotbringers, enjoy! 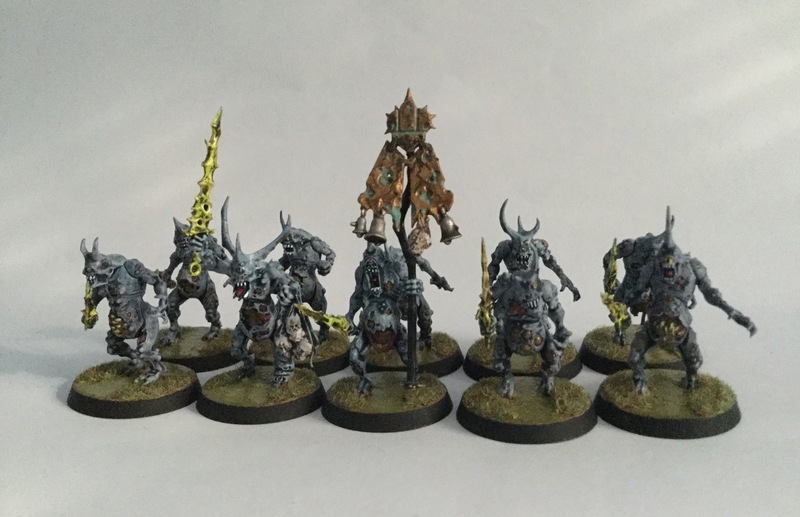 That’s all of my models in the collection so far, I’m hoping to add a unit of putrid blightkings to finish off the army for now ( I can’t wait to paint those! 😀 ).